It’s easy to share a recipe online. Soon a visually appealing recipe is all over your newsfeed. And there’s nothing worse than bookmarking a recipe or sharing it out to your friends only to find out that it’s a beautifully photographed dud. How do you know which ones are worth trying? We’ve rounded up a few of those over-shared recipes that we know live up to the hype. This recipe blew up on the internet during the Easter season, and it’s easy to see why. The poop-moji is hysterical in its own right, but an edible version? And if smiling poo isn’t your style, you can adapt the recipe to any shape you’d like. This recipe is all over the place during the holiday season. If you want picture-perfect holiday cookies, the key is finding a royal icing that delivers. This recipe has only two ingredients (three, if you count water) and is so simple, you’ll be making gorgeous cookie decorations in seconds. Proving that a recipe doesn’t always need to be cheap and easy to be a hit, here’s one that requires a bit more skill. However, the steps are clear enough and it only requires a single skillet, so if you’re feeling adventurous in the kitchen, this meal is a great start. Sometimes all it takes is a classic recipe seen in a new way. Apples are subbed in for peaches for a twist on this classic dessert. It’s easy to see why this recipe is popular—Potterheads are here to stay, and with the new movie coming out soon they’re more interested than ever in their favorite magical snacks. 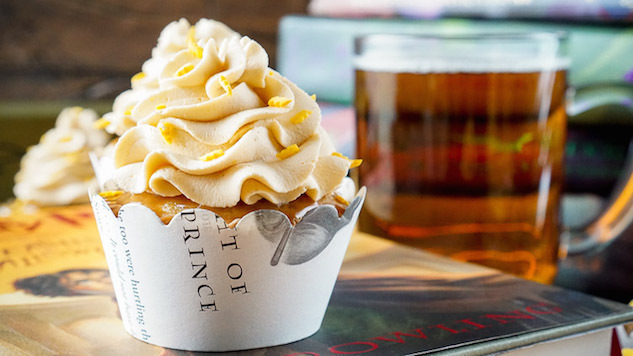 Butterbeer recipes are a dime a dozen, but these cupcakes truly are magical. Low carb is all the rage. Unfortunately, to those sticking strictly to the diet, tater tots are off the carb-free menu. Thankfully, this recipe offers a tasty alternative: using carb-friendly cauliflower as a sub. The results are delicious. Mason jars are still everywhere, but the internet is so over those jar-salads. These instant noodles offer a new take on mason-mania, with a healthy update to a favorite quick lunch. If a recipe is 1. Cheap, 2. Easy, and 3. Tasty, it’s likely to blow up on the internet. Extra points if you include a gorgeous and pinterest-able image. This recipe checks all the boxes with a simple, hearty meal that will feed your whole family. During the summertime, smores are everywhere. This recipe combines cookie dough and the classic camptime treat to take it to the next level. No stick required. Unicorns are everywhere. They’re nostalgic and fun, and the internet cannot get enough. So it’s no surprise this sparkling unicorn ice cream is popping up on everyone’s newsfeed.